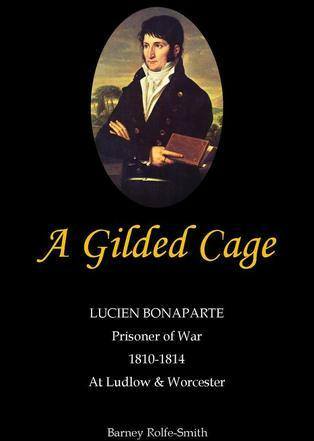 A Gilded Cage is the dramatic but factual story of how Lucien Bonaparte, his family and his twenty-two servants were captured, brought to England and then imprisoned; at first in Ludlow and then Worcester. The story has been constructed from the unpublished correspondence between Lucien, his 'minder' and the Foreign Office. These letters are supported by the many newspaper articles published at the time. Within the 168 pages of this carefully researched book are many illustrations and 25 colour plates. A Gilded Cage will interest scholars and researchers but will also be of particular interest to those that live in or have visited Shropshire or Worcestershire as many of the places visited by Lucien will be familiar. Other readers will enjoy the insight the book provides into life in this late Georgian period. This hard back book is available for £15 plus P&P £3.50 in UK. See 'Purchase Books' button for payment details.